Love him or hate him, we all know President Trump has a strong presence on Twitter. Whether it's 3 pm or 3 am, the president is probably tweeting. His frequent Twitter habits are often discussed by the media, and they've especially caught the attention of lawyers at Columbia University ... but not in a good way. The attorneys think it's unconstitutional for Trump to block Twitter users, and they're ready to fight it out in court. It's no secret that President Trump has blocked a considerable number of Twitter users. If you don't believe me, look up the #BlockedByTrump hashtag. (Yes, it's a real thing.) The blocking feature on Twitter is an effective way to silence unwanted trolls, and recent updates to it address the concerns of users who felt the company wasn't doing enough to combat online abuse. Users who use language Twitter deems as abusive now get blocked automatically for 12 hours and tweeters can block all anonymous accounts. Even more, specific words you don't want to see can be blocked, and conversations you've been mentioned in can be muted. With these changes, everyone can block as much as they want to have the most pleasant Twitter experience possible. Well, everyone except President Trump that is. 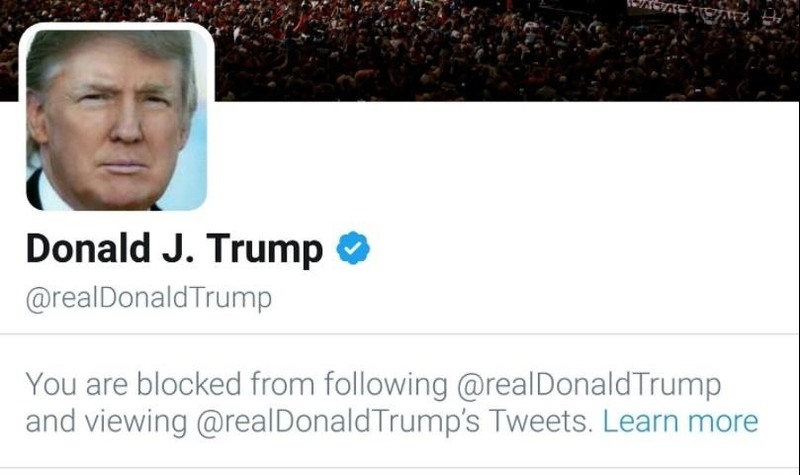 Lawyers from The Knight First Amendment Institute at Columbia University are arguing that Trump is violating the first amendment by blocking Twitter users. In a letter sent to the White House, they argued that the president's Twitter should serve as an open forum that people can freely speak their minds on. By not letting people do that, he's allegedly denying the blocked users their right to free speech. The Knight Institute is currently representing two Twitter users the president has blocked, and they anticipate more to approach them. It's still unknown whether these lawyers actually have a case. For now, if you see this when you visit Trump's Twitter account, just know you're part of a large group that has earned the president's scorn for everything from targeted insults to offensive cat videos. News: Redstone Tournaments. 8 Experienced redstoners needed.